Acid attacks and Islamophobic attacks are on the rise and are striking fear in the Muslim community. Many elderly Muslims and vulnerable females are fearing from such racially provoked attacks, and as a result, are choosing to stay at home rather than doing simple tasks like going out shopping. The horrific nature of acid attacks is particularly disturbing as it is impossible to protect yourself against. With the random nature of the attackers, potentially, any white male holding a bottle could be an attacker. With varying forms of corrosive acid so readily available on the market. A recent Acid attack on two Muslim cousins by a white male shows the devasting effect of acid attacks. And now being treated as a Hate crime. Resham Khan and Jameel Muhktar, 37, were attacked by a man throwing acid through their car window on Ms Khan’s 21st birthday. Police, who have described the incident as a “horrendous act of violence”, said new information had come to light, leading them to investigate the assault as a hate crime. John Tomlin, a white male from London, aged 24, is being hunted by police have warned the public not to approach him. 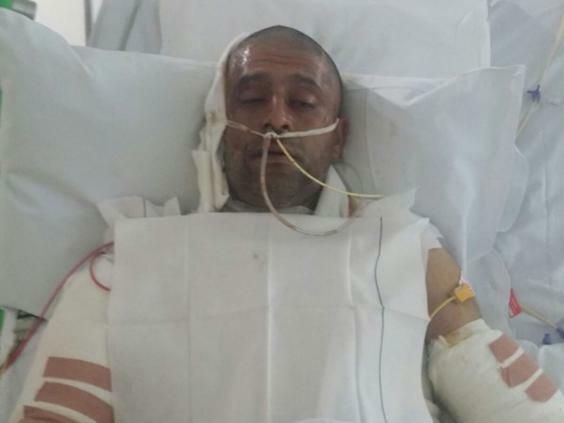 Both Ms Khan and Mr Muhktar suffered life-changing injuries in the attack in Beckton, east London on June 21. Following the racially motivated attack, Ms Khan said: “I’m devastated. I keep wondering if my life will ever be the same.” Mr Mukhtar has said he feels “emotionally wrecked” and “in continuous pain”. The attack came amid fears of rising anti-Muslim hate crime following the terror attack on worshippers in Finsbury Park and concerns over a potential “backlash” to attacks claimed by Isis in London Bridge, Manchester and Westminster. Additionally, serious questions are being asked of the influential tabloid papers, giving weight to the far-right, who fuel this divisive attitude in the community. Responsibility lies with all politicians and media outlets to help tackle fanatical hatred in the country.